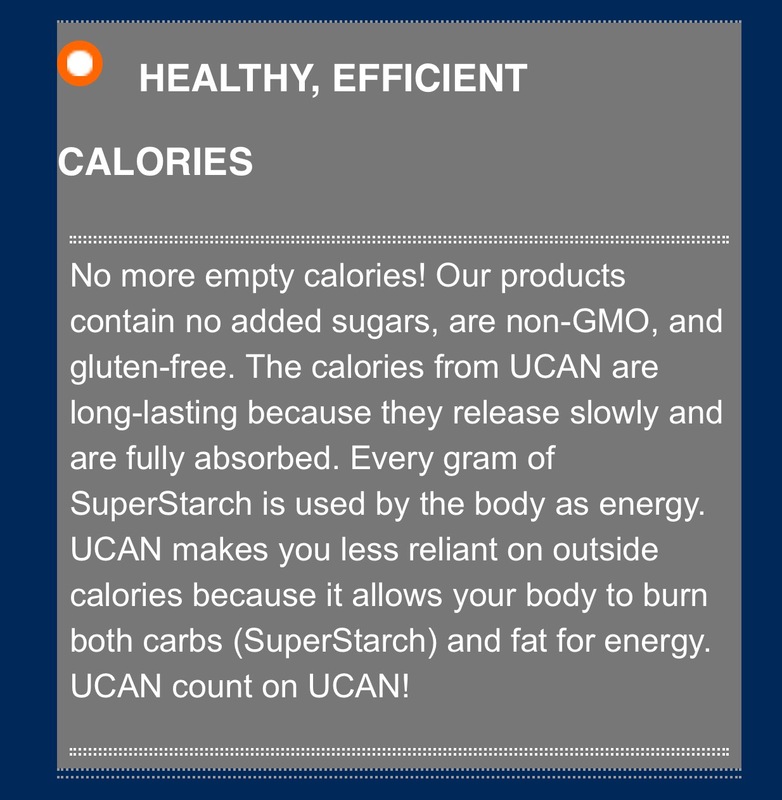 Disclaimer: I received UCAN Snack Bars to review as part of being a BibRave Pro. Learn more about becoming a BibRave Pro (ambassador), and check out BibRave.com to review find and write race reviews! Let’s start with a question. Did a stereotype ever get in the way of you eating something? More specifically, if you heard that Lobster was too fishy for you, did it stop you from eating lobster? Well for me, the answers was yes! As a youngster, I never ventured into a food that would not feel right in my mouth. A few examples of this today for me include yogourt, eggs and the aforementioned lobster. But guess what? I decided recently that I needed to broaden my horizons on the eating side and test foods that I believed did not taste good because of their texture. I started with shrimp and guess what? It is now my new favorite food (especially when barbecued). Trying new things within my running world is also somewhat of an issue. We runners are slaves to our habits in order to finish races fast, on time, without incident (you know what I mean there) or even to keep it enjoyable. When incorporating new things into our diet, sometimes it is best to be sitting near a toilet of sorts when seeing if the new mix of nutrients is too much for the stomach to handle. They say that one should never try new running shoes close to races and one should always taper into long races. These thoughts are considered rules and breaking the rules only leads to problems! (At least in the eyes of the average runner). But if there is one thing I have learned over the past year when dealing with common beliefs, is that while they can be helpful, they are never to be followed blindly. Reason is simple: each runner is different and no one plan works for everyone. I take this thinking with me often but this thinking is also. It always correct because some rules need to be followed! Rather simple right? One belief that I firmly believe in is this: if you are going to make a change to your running routine, do it well in advance of a race so you have time to work out the kinks…never make a change right before a race! 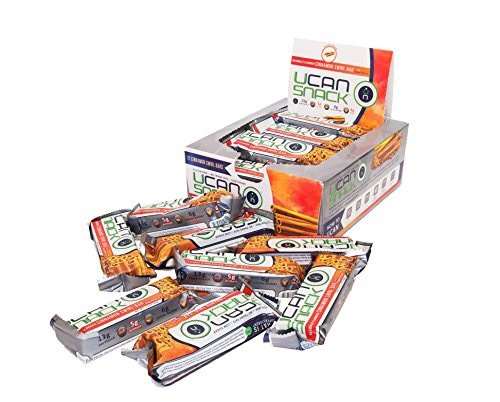 So starting a month ago, I introduced a new product into my system and routine – Generation UCan bars. So what are Generation UCan bars? Well, they are energy bars like nothing I have used before. 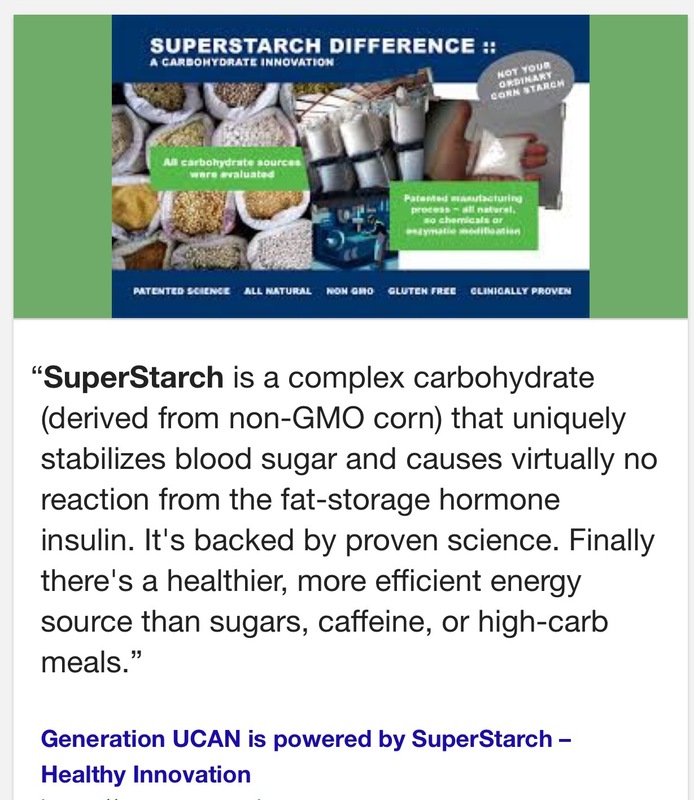 Having been a regular user of Clif Bars (love the peanut butter one’s), which feature high levels of protein and fiber, these Gen UCan bars had a different mix and featured something called “super starch.” This feature is central to all the benefits listed below (from their website). 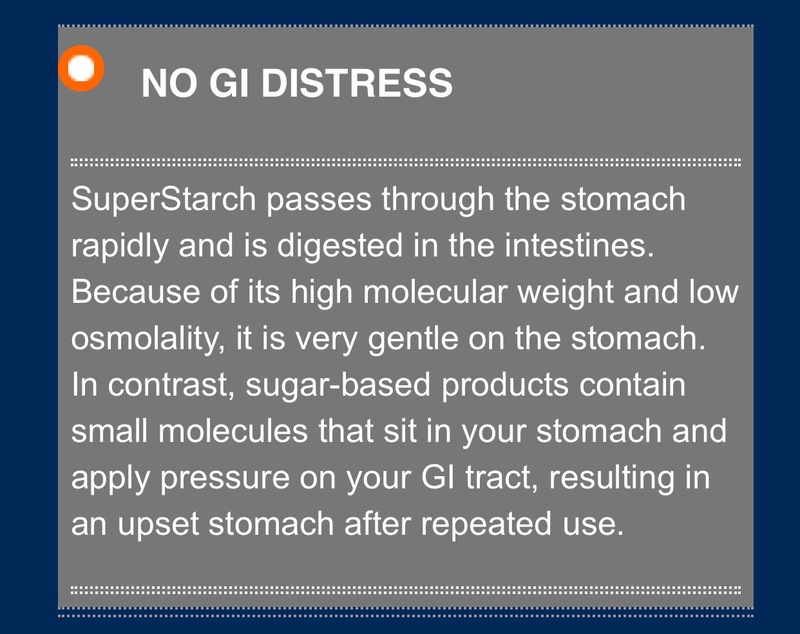 Ok, so we have established what SuperStarch does. What exactly is it? 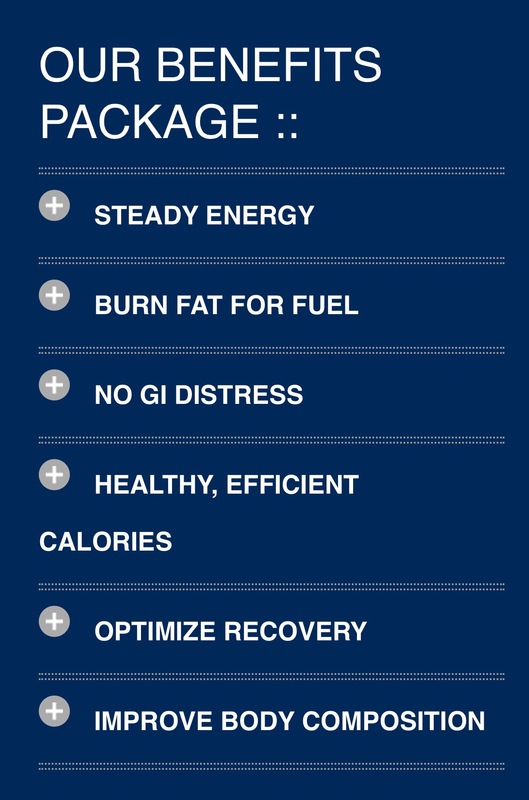 Increased Energy: These bars have given me a boost of energy that lasts for a very long time. This boost has helped me in getting second winds during my runs of late. Reduced Cravings: I have been eating these in the morning before I run and guess what? I am not usually hungry till lunchtime! The lack of any real sugar or substantial carbs cuts out the sugar highs and lows. Speed and Efficiency: while they have removed the cravings, they have also become meal replacements! Five quick bites and a given meal is over. 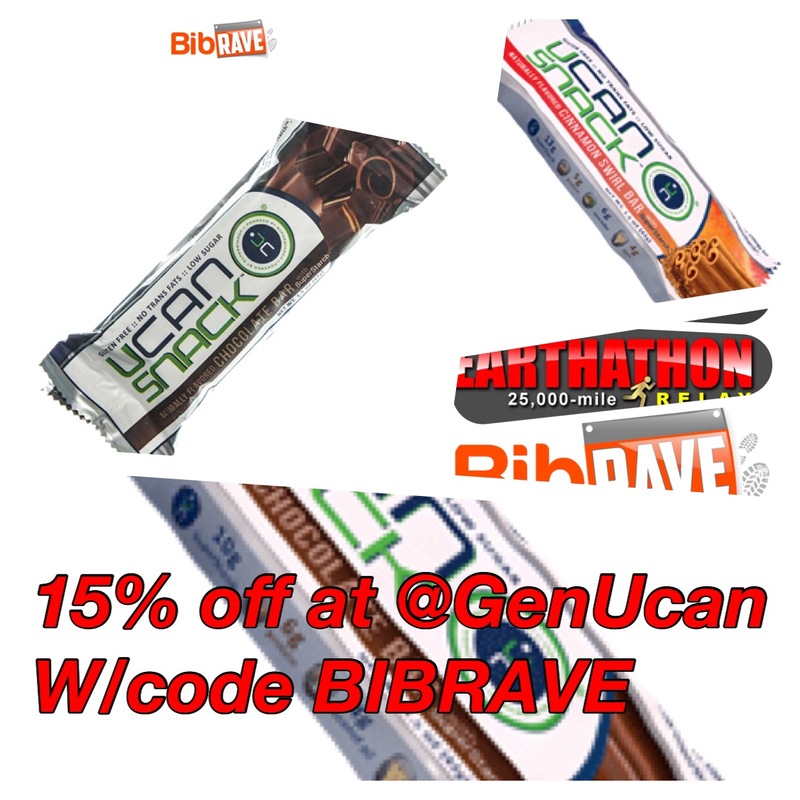 I tried out the following UCan bars as part of a study and for being a member of the BibRave Ambassador program. So let’s start with the ones I am still eating each morning: Cinnamon Swirl and Peach Passion (you will notice that I only list 2 out of 5). These two bars, like the others, feature a good taste. I like these two the best because the taste is strong and it overrides the texture. The texture is nothing like I have ever seen and it looks just like a heart guard pill I give my dog. Initially I had a very hard time dealing with this issue and after finishing up the first wave of bars, I was ready to deliver a very unsatisfactory report! However, I heard from another “Pro” on these bars and they mentioned liking them for the energy boost. I thought about such a point and then ordered another box of the ones I liked the most, Cinnamon Swirl and Peach Passion. For the next few weeks, I used these bars training and running the Reach the Beach Relay. With the training, I started to notice that my cravings for sugar diminished in the afternoon, especially if I stopped having a carb loaded breakfast. Then with the RTB relay, I had three of these bars in a 24 hour period and my energy levels remained very strong – to the point that when I was supposed to sleep in the middle of the night, I could not! It was not a caffeine a kick but it was definitely some sort of kick. So with no sleep, I took on some very difficult hills and the cruised down the beach to finish leg 36 and cap the race for our team. Since the middle of September, I have been using these bars on a regular basis (though only two of them mentioned above) and starting to see improvements in time and my eating habits. I can say that I am “sold” on these bars and they are part of my regular routine! And this is a big But. The other three bars I tried were not that tasty. The chocolate one was the best of the bunch but was a bit too strong with taste. Coffee Bean was a close third choice to add to my regular consumption choices with these bars but I guess I just did not like them enough. Lastly, the chocolate peanut butter one is brutal. Further it melts way to easy in my hands with normal room temps. Other Pros said that the other bars also melted or broke in their hands while running – I have not take one of these while running it only pre-run. If you add in texture issues with theses and the fact that one has to get over that end, these bars become somewhat hard to sell the positives – afterall, people only remember the bad, right? The bottom line is simple for me with these bars. If you can get over texture and treat them with kid gloves, I think you will be rewarded. Otherwise, you will find the purchase of these bars as an expensive endevour (avg is about $2.50 per bar). The energy boost is real and I will continue to use them. I do realize though that theses bars are not for everyone! Next Post Monday Musings: Awesome feats!